Roger Federer is in Shanghai for the upcoming Shanghai Rolex Masters 1000. Amidst a death threat which lead to heightened security, the Swiss maestro is back in China for the first time since 2010. Earlier today, the draw and schedule were released. Afterwards, Federer was taken to the Rolex Boutique on The Bund, while Lleyton Hewitt walked along the waterfront area in the centre of the city, lining the Huangpu River. “I am very happy to be back in Shanghai,” said Federer, who walked around the Rolex Experience exhibition, which features some of his Wimbledon memorabilia. Looking to the draw, Federer is the #1 seed, entering his 299th week as world #1. Federer and Murray were drawn to the same half, while Djokovic was placed in the opposite half. Rafael Nadal is absent with knee injury and will return at an exhibition event in Abu Dhabi in late December. The Swiss maestro receives a bye in the first round and will face either wildcard Ze Zhang or a qualifier in the second round. He could face Davis Cup teammate Stan Wawrinka in the third round, followed by Juan Monaco in the quarterfinals. Toward the end of the tournament, Andy Murray is his seeded semifinal opponent, with Novak Djokovic lurking in the final. 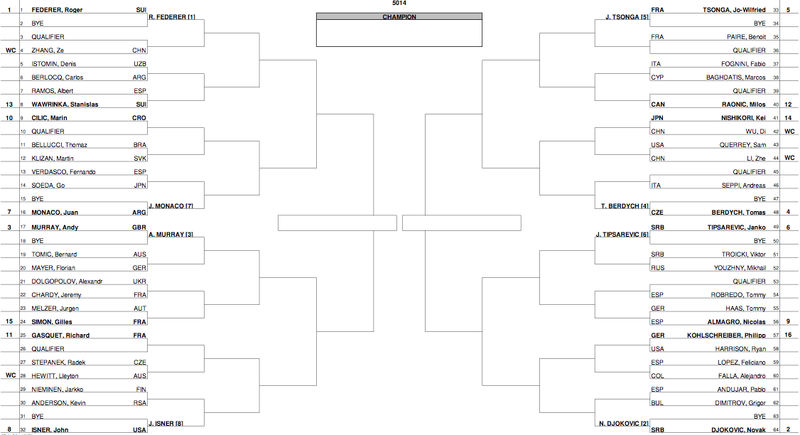 View the full draw below. 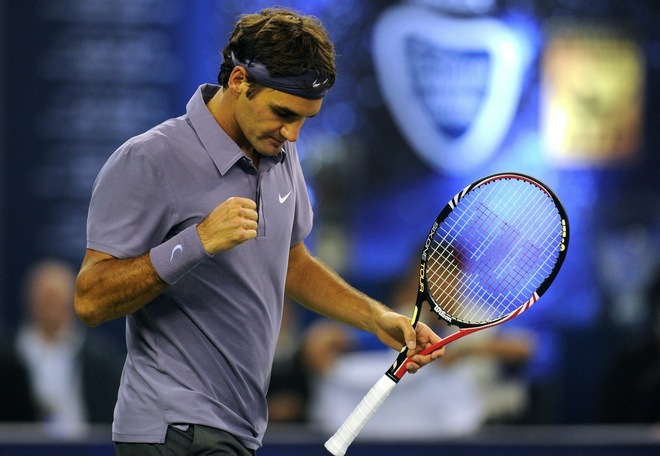 See Federer’s Nike outfit for the Shanghai masters here. Federer excited to return to Shanghai.